Home Abdominal Pain How Do I Manage Crohn’s Disease? How Do I Manage Crohn’s Disease? If you or a loved one has been recently diagnosed or has lived with Crohn’s disease for a while now, you know how life-changing the diagnosis can be. Living a pain-free life while managing signs and symptoms as well as side effects of the disease means knowing what you’re up against. Let’s look at vital information to help you learn how to manage Crohn’s disease. Crohn’s disease is one of the two most common types of inflammatory bowel disease. The second is colitis. It affects the entire GI tract, but most commonly affects the end of the small intestine and the beginning of the large intestine. Researchers have not yet identified the causes of Crohn’s disease, but note that increased risk is linked to lifestyle factors (such as smoking, diet, exercise, and stress), an overactive immune system, past intestinal infections, the environment and whether family members have been diagnosed with the disease. Crohn’s disease affects up to 780,000 people in the United States. There is no higher increased risk for women or for men; both sexes are equally likely to be affected. It can occur at any age, but Crohn’s is more prevalent among those who are 15 – 35. 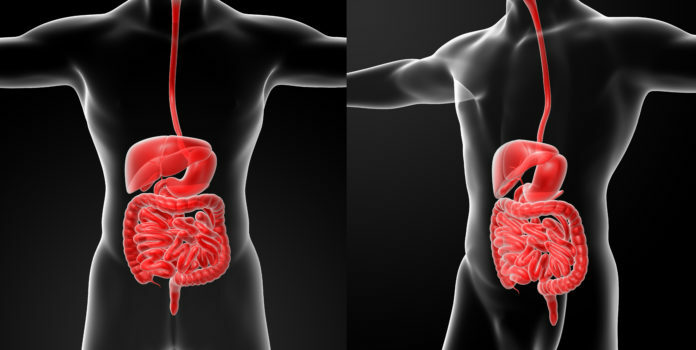 Crohn’s disease can disrupt your work, social life, and studies. However, well-managed Crohn’s disease can help you lead a normal, active life in spite of the diagnosis. It is important to talk to your health care team about taking medications and getting vaccinations, as well as any signs of complications. This will help to prevent the development of further complications and ensure a good quality of life. You may want to keep a food diary to help you identify problem foods and their corresponding symptoms. That way, you and your health care team can work together to build a personalized dietary plan that helps to minimize discomforts. Sasha deBeausset is a nutritional anthropologist and licensed nutritionist with a B.A. from Tufts University and a M.Sc. in Food and Nutrition from the University of San Carlos. She has been awarded for her academic writing and research, and she has been blogging on food, health, and nutrition for over five years. Sasha is passionate about contributing to making quality and research-based information available freely on the web so people can inform themselves and make better decisions for their health.